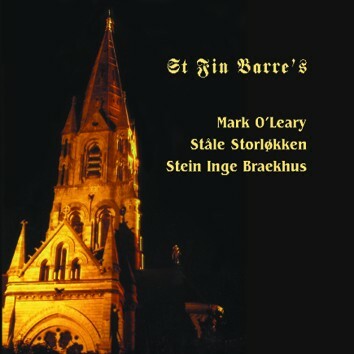 It's the tenth CD by Mark O'Leary on Leo Records and a new departure. It's been recorded in the magnificient Cork's Cathedral St. Fin Barre's. Mark chose his partners very carefully. The church organist Stale Storlokken is a member of Norwegian cult band Supersilent as well as member of Terje Rypdal's trio. Stein Inge Braekhus is a sensitive drummer who works with subtle nuances and dynamic breaks of tension. Although it was recorded in 2002 it marks yet another phase in Mark's recorded journey. Liner notes by Steve Day. Here's an additional sound sample: Listen to the Cork's Cathedral St. Fin Barre's bells.